The grapes for this wine were grown on our sustainably certified vineyard at the low cropping rate of 4.6 tonnes per hectare. Fastidious shoot thinning, bunch thinning and hand leaf removal ensured that the berries had optimum exposure to the sun. The perfectly ripe Pinot Noir bunches were picked by hand on 16th March, 2010. In the winery the grapes were carefully taken off their stems and left cold to soak for 7 days before fermentation. A warm ferment on the skins, in small fermenters, with careful cap plunging by hand, enabled us to extract optimum varietal colour and flavour. 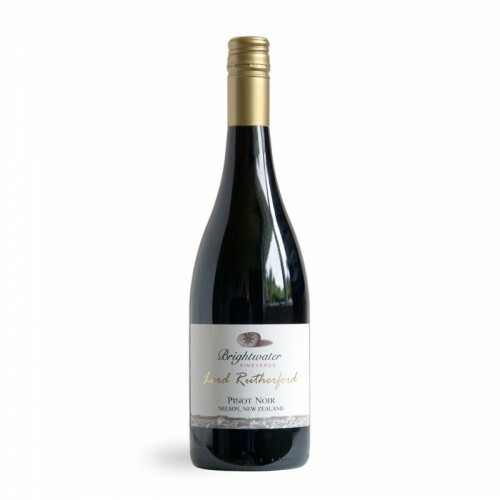 The wine was aged in French oak barriques for twelve months prior to bottling in order to allow full integration between the ripe fruit flavours, tannins and oak, thus creating this elegant, softly textured Pinot Noir.